The Keto Diet a.k.a. Atkins Diet, a.k.a. phase 1 and 2 of the Dukan Diet, etc. Essentially, a low carb (under 50 - 20 grams a day depending on your activity level) ketogenic diet has been around for decades now and was widely used to promote weight loss. Today, however, it has become a bit more nefarious as it’s touted as a healthy lifestyle. 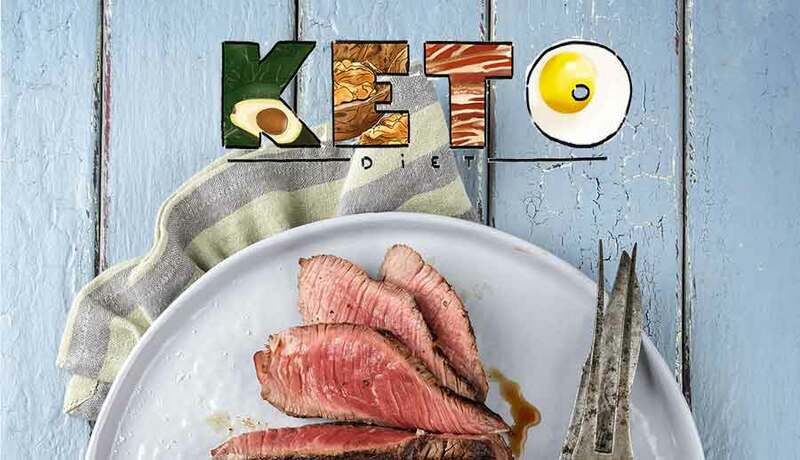 Now, there is some logic to the benefits of ketones or brief periodic ketosis, but those benefits have been manipulated and commercialized making this diet downright dangerous. I’m sure you’ve heard the term “too much of a good thing”? Welcome to the keto diet. Yes, I’m gonna do it. I’m gonna infuriate the keto community. I am brave enough to incur their wrath and outrage because I don’t believe in this diet that much. Compared to our modern day western diet that is laden with cheap processed grains and sugars, this diet is a Godsend. Because it inherently eliminates all that crap it dramatically lowers insulin levels and improves insulin sensitivity. Out of whack insulin levels wreak havoc on your body and have been linked with everything from PCOS, infertility, type 2 diabetes, heart disease, etc. Even Alzheimer’s is now being linked to insulin resistance, as doctors are referring to this disease as type 3 diabetes or insulin resistance of the brain. The reason this diet is effective at lowering insulin is because you are eating next to no carbs so your blood sugar is extremely low and there nothing inciting your pancreas to release insulin to usher blood sugar into your cells. Second, which arguably is really part of the first point above, ketones have a neuro-protective component where they can inhibit something called amyloids, which are a type of plaque that can build up – in this case in the brain. Hence the reason we believe this type of low carb diet can help individuals with epilepsy and Alzheimer’s. There is absolutely a link to insulin secretion, insulin aggregation and amyloids; we just don’t fully understand the complexities yet. Awesome. The diet has its upsides for sure. But the equally important questions we have to ask are: what are the diet’s long term down sides and can’t we get the above listed benefits in a safer way? Ketosis is a considered a state of medical emergency. Can the body survive without carbohydrates or very limited amounts of carbohydrates? Sure, for a time, but even still can the body truly thrive? While you may have managed to contain or even eliminate any insulin related diseases you are potentially incurring a host of other issues. The obvious is that our body needs all the vitamins and minerals. When we cut out entire food groups like fruit, whole grains, legumes, alcohol (yes, this has it’s benefits when in moderation), what price are we paying? You can get a ton of fiber and phytonutrients in veggies for sure, but to cut out apples, citrus, berries, and other fruits is absurd. Fruits, whole grains, legumes all have extremely vital minerals, vitamins, antioxidants, prebiotic fiber and other nutrients for optimal health. The next issue is that keto doesn’t advocate for calorie restriction. And calorie restriction (NOT calorie deprivation mind you), is linked to longevity amongst many other benefits because when we eat constantly and eat a lot we are literally oxidizing and aging our bodies. One of the things I hear keto people wax poetic about is that they lost weight without “dieting” (calorie restriction) or exercising. This is NOT something to celebrate. The keto diet does not address what types of proteins and fats are ideal, and this is essential. Weight loss is one thing, and insulin management is another, but anti-aging is also another. Preserving your body’s cells, telomeres, and very DNA requires a moderate fat diet of polyunsatrued and monounsaturated fats. All the current research is showing us that high fat diets, in particular diets high in saturated fats, are shredding our telomeres (which are the little end caps on our chromosomes) that literally improve our immune response, fight aging, and protect our DNA. Plus, our cells are literally made up of macromolecules, and the four main ones are nucleic acids, carbohydrates, proteins, and lipids (fats). When we aren’t eating all the macronutrients in a balanced way, we are literally starving our cells. Now I’ve touched on the dangers of high calorie diets, high saturated fat diets, and imbalanced macronutrient diets, but what about high protein diets? Yes, protein is very good for you, but we don’t need tons of it and when we consume tons of it we stress our kidney, liver, and gallbladder significantly. This is why these high protein, high fat diets have been linked to gall stones, kidney stones, osteoporosis (because high protein diets make you urinate out more calcium), electrolyte imbalances, pancreatitis, and liver damage among other things. Don’t overeat. If you are trying to lose weight women should be around 1200 calories and men should be at around 1600. If you are not trying to lose weight active woman should be around 1800 and men should be around 2200. Do not eat processed grains and processed sugars – (white bread, pasta, simple starches, juices, sodas, candies, etc.). Do not drink more than 4 drinks per week. Eat balanced meals every 4 hours that have healthy fats, proteins, and carbs to help stabilize and manage insulin levels. Create a 12-16 hour fast period between dinner and breakfast to help lower insulin, release a small amount of ketones without following a high protein, high calorie, and high saturated fat diet. Workout. A minimum of 2 hours a week (Five 20 minute sessions or 4 thirty minute sessions) and a maximum of 6 hours a week. That’s it. Insulin managed. Once insulin is managed, all the above issues linked to out of whack insulin like type 2 diabetes, PCOS, heart disease and more will also be reversed or significantly mitigated – without the potential dangers of a ketogenic diet.